Your search for Compression Fittings ends with us. We are counted amongst one of the most prominent Compression Fittings Suppliers in UAE. 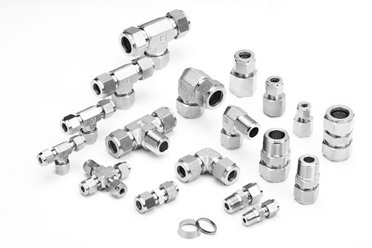 Procured from reputed manufacturers, these Compression Fittings offers a wide array of fitting solution in the industrial sphere. They are 100% reliable and leak proof. 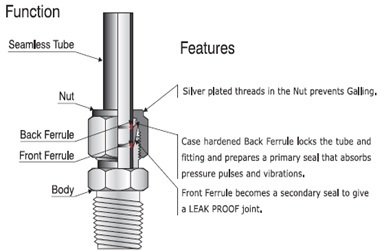 Compression Fittings are widely used for proof connection in instrumentation and process tubing systems. The Compression Fittings offered by us are designed, manufactured and quality checked for better performance and leak proof fittings. Owing to our large stock of Compression Fittings at our facility, we have become capable of fulfilling mass requirement of the clients even on the urgent basis. Being the leading Compression Fittings Suppliers in UAE, we have committed ourselves to serve the UAE market with best quality Compression Fittings at competitive market prices.